Flattened and cracked soil, dried sugarcane, dried up rivers and lack of green pas­tures for grazing livestock. These are the various problems encountered by the people of Tavua in the dry spell that has hit parts of the country. Kamal Prasad, 53, of Yasiyasi, Tavua, said he had lost all hope be­cause of the dry spell. “All my crops have died,” he said. 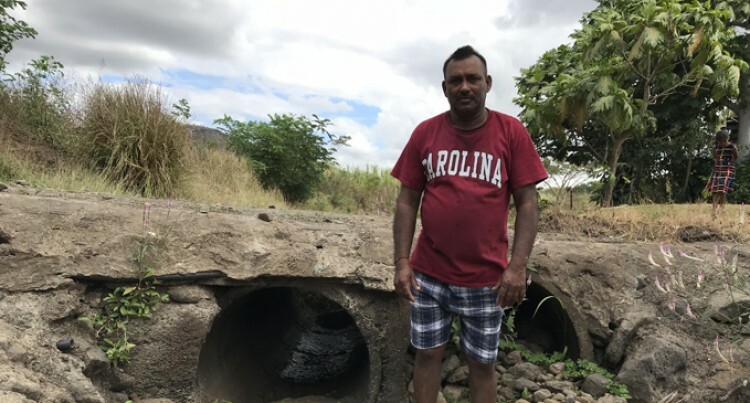 Mr Prasad said the major river supplying the family with water dried up, creating a water supply crisis in the community. “We cannot even feed our cattle with water as we used to. Every­thing has dried up,” he said. He said the river had steady flow­ing water during the past few years however it had dried up. “It’s been more than six months now and all we have is a dried-up river,” he said. Mr Prasad said his sugarcane crop had been adversely affected. “Some of the sugarcane has now dried up which cannot be harvest­ed,” he said. As a livestock farmer, it also gets difficult for him and others around the community. “People generally have to look for grass to feed their livestock,” he said. Mr Prasad said the community borehole had also dried up, prompt­ing the villagers to dig up a replace­ment. Another family of Rakiraki is also feeling the effects of the dry spell. Rusilala Ravai of Draunivi, Raki­raki, said they used to have a lake which provided an abundant water supply. “But it has now dried up. How can it happen that such a large lake can just get dried up,” she said.